You’ll notice that the YouTube views are already well into the millions after less than a week. But that’s nothing compared to the Facebook views…currently at nearly40 MILLION!!! We had a private and confidential discussion with Warner Bros who contacted us during the period of the crowdfunding campaign. The only thing we can say is that they let us proceed with the film, in a non profit way, obviously. The idea that a major movie studio would shut down a Kickstarter and then turn around and still give that fan film its BLESSING seems almost inconceivable—especially to Trekkies who had to watch a year-long copyright infringement trial for the fan film Axanar. But guess what? This isn’t the first time Warner Brothers has shut down a high-end Harry Potter fan film Kickstarter only to allow the film to be completed and distributed via YouTube. 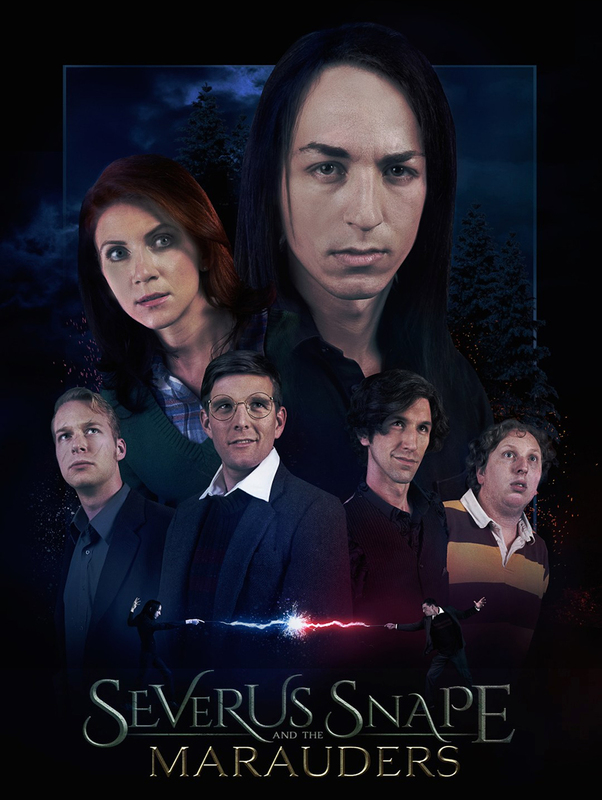 It happened back in January of 2015 (a year before Axanar got sued), and it happened to one of my all-time favorite fan films ever: Severus Snape and the Marauders. This fan film is so good that, if you’re a Harry Potter fan, you’ll feel like you’ve just witnessed something from official canon. Seriously (or Siriusly)…check it out for yourself! But back during the summer of 2014, fans weren’t feeling nearly as enthusiastic or inclined to donate…at least not to this fan production. While Axanar was busily raising $638,000 in a wildly successful Kickstarter campaign, Severus Snape writer/director by JUSTIN ZAGRI had to close down an initial Indiegogo campaign due to poor donation totals (barely $14K of the $39K goal). Justin had hoped that their previous Harry Potter fan film effort, The Greater Good (another must-see and now also totally part of my Potter “head canon”), would have helped to encourage more donations. But at the time, Harry Potter fan films didn’t have quite the same crowd-funding draw as Star Trek or Star Wars or superhero fan films. Undeterred, Justin launched a new campaign on November 8, this time using Kickstarter, and this time doing a much better job of marketing. The result was a more successful campaign that raised $25,000. “[Warner Brothers] basically called me and said that they were aware of the Kickstarter,” Justin told me over the phone yesterday, “and that they normally don’t like the idea of people raising money to make their own productions. But they wanted to have leeway with their fans, and they said I could keep the money that I raised, and I could still make the film. Just make sure it’s not for profit, don’t monetize it on YouTube, and don’t raise any more money. ‘Cause I was going to do a second Kickstarter to raise post production funds, and they said, ‘We don’t want you to do that.’ So basically, I was on my own to fund that last part—which just made the film take a little longer to make. 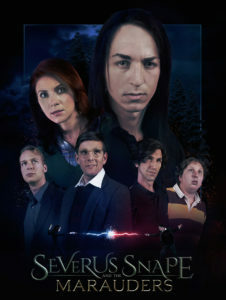 The original logo for SEVERUS SNAPE (top) looked too similar to the title logos of the official HARRY POTTER movies, and Warner Bros. required that it be changed. I mentioned to Justin that the website for Tryangle Films (which is producing Voldemort) still has a “Donate” button on the top left, and it takes visitors to this page. So even though the Kickstarter is down, it appears they are still accepting donations…which is something Justin was not allowed to do by Warner. I asked what Gianmaria’s response to that was, and Justin said simply that he was thanked sincerely for his advice and nothing more. Now, I should mention that nowhere on the Tryangle Films does it mention that people are donating to create a particular fan film. 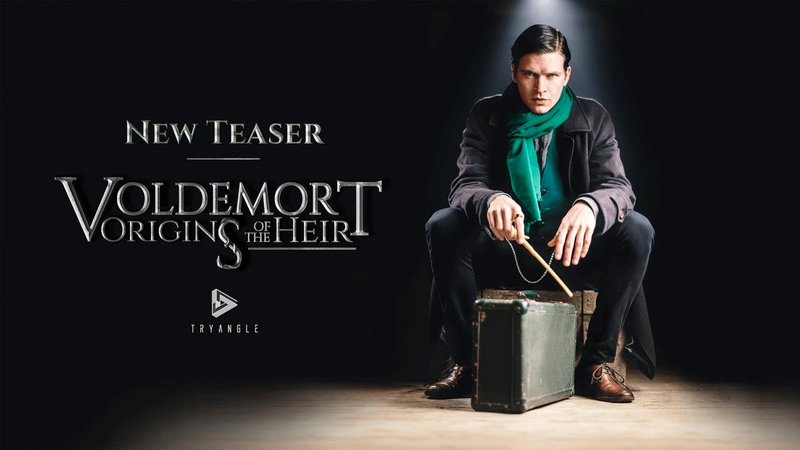 Tryangle is a production company, so it’s arguable that they aren’t raising money specifically for Voldemort. After all, Gianmaria did successfully complete his Kickstarter with (I am told) about $30,000 in donations. And this allowed him to finish principle filming and production. Now he’s moving into post production. But as Justin mentioned, post production has to be financed, as well. For Severus, Justin said he had to put $6,000 of his own money into the production in order to finish it…money well spent, I say! Evidence that Warner Brothers had similar conversations with the two directors, as VOLDEMORT has changed its logo from the original (top), as well. Justin confirmed that Gianmaria’s conversation with Warner Brothers took place last summer when his Kickstarter page was taken down, just as Justin was contacted by Warner just before they removed his Kickstarter page. Both writer/directors were given full explanations of the studio’s concerns and the rules they would need to follow. Gianmaria then took the next year to finish cutting this trailer that came out last week, and he expects to have his film completed before the end of this year. Justin and I finished off our conversation discussing the different reactions the studios seem to have toward fan films. “Everyone has their own level of bending the rules because you have to; you’re making a fan film,” he said. “Some people get away with it completely. Other people deal with years of litigation. And others just get a courtesy phone call asking for them to follow a few guidelines. And some get totally shut down. It just depends on who it is. Like Ban Dai and Nintendo simply shut down any fan film that gets produced…while others, like Star Trek, for the most part—Axanar being an exception—are just left alone. Speaking of Star Trek, I’m sure there are several readers right now wondering why CBS and Paramount don’t simply follow Warner’s example and let Trek fan films be made at any length, with or without professionals, as long as they don’t make a profit. After all, isn’t that the way Paramount and CBS used to do it—a sort of a fan film “don’t ask/don’t tell” policy? Well, remember that Warner Brothers is adding a rather inconvenient requirement in that they are not allowing ANY crowd-funding. CBS and Paramount’s guidelines at least allow fans to collect up to $50,000 per episode (which now seems almost generous compared to Warner Brothers’ zero…doesn’t it?). Fans should also understand that, when it comes to Harry Potter, Warner is in a different situation than CBS. 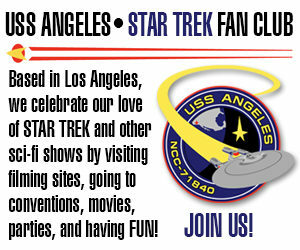 CBS owns Star Trek outright. Warner licenses the characters in the Harry Potter books from author J.K. Rowling, who retains full ownership of the books and all of their content. Warner, however, owns the nine films (the eight Harry Potter and the… films plus the recently-released Fantastic Beasts and Where to Find Them) and will continue making more (at least four more in the Fantastic Beasts saga are scheduled). So far, the two parties (Rowling and Warner) have gotten along just fine….teaming up on countless lawsuits both as plaintiffs and defendants, and almost always coming out on top. (In fact, there have been so many Harry Potter-related lawsuits that they have their own Wikipedia page! One Potter infringement case was even cited frequently in the Axanar lawsuit filings.) So Warner and Rowling need to stay on the same page (no pun intended) whenever possible. I suspect that, were Rowling not involved, Warner might not be as permissive of fan films. However, J.K. Rowling, back in 2004, famously announced that she backed Potter fan fiction as long as such endeavors were not making any profit and not obscene in any way. With that flag of permission now planted, Warner had little choice but to follow suit. And so we see a similar permissiveness from the studio, concentrating primarily on the fan films not taking in any money—neither profit nor donations—plus a few other minor constraints. All in all, it seems the world of fan films across multiple genres is both inconsistent and ever-evolving. But the one constant is that fan films are NOT going away…and in certain cases are converging with the quality level of the studio offerings themselves (although not quite there yet). So now we get to watch some “experiments” as the different studios try out various strategies for dealing with fan films. Ultimately, what will be the net effect of the Star Trek fan film guidelines…of Warner’s go-for-it-but-no-fundraising…of the annual Star Wars fan film awards? Will Voldermort keep Potter fans engaged and excited until the next installment of Fantastic Beasts hits theaters? And if so, will CBS and Paramount take notice? Like Harry Potter itself (and Star Trek, for that matter), the saga of fan films is very much STILL being written…by many hands. Editor’s note – I have tried reaching out to Voldemort writer/director Gianmaria Pezzato for an interview or comment(s), but I have not heard back yet. (I’m guessing he’s getting a LOT of interview requests this week!) Rather than delay this blog entry and having it be no longer timely, I am publishing it today. This is an interesting story. Maybe some day the studios will recognize that they have an incredible marketing opportunity if they work with fans rather than do their best to anger fans and squander opportunities. Previous Previous post: DEIMOS Production Crew releases their fifth episode: “No Greater Love”! Next Next post: STAR TREK CONTINUES announces RELEASE DATES and TITLES for their FINAL THREE EPISODES!